AI: is it just buzz or is it really changing the web design world? It has been quite a while since the non-stop futuristic flashy banners began showing up on my browser. The Grid is an AI web-builder that will build a website for you in a couple of minutes by using layout filters instead of templates. Their AI reads your images and text, and builds a sophisticated website much faster than other popular web-builders such as WordPress, Wix or Squarespace, which are widely used by non-technical users. The process promises to be as easy as a social network page update. That sounds fascinating, but how does it work? I am sure that millions of people on this planet are thrilled enough to click on the flashy banners to see how the AI builder works. Now they do? NO, not yet! Well, disappointingly it is not public yet. They kicked off their crowdfunding promotional campaign and half-promised that their platform would launch sometime during Spring 2015. As of September 2015, it still seems to be in the middle of the user testing process. The emotional tweets between the pre-paid users and The Grid’s development team indicate that some users are still fascinated and pushing for it to go live as soon as possible. However, some users seem to have lost their patience and are requesting refunds, although refunds are clearly not promised in the FAQ page – “Payments, including Founding Memberships, are non-refundable”. A small number of pre-paid funding members seem to have access to the beta version, and there are some videos of a demo site created by one of the lucky pre-paid users (#83) on YouTube. However, over 55,000 pre-paid users are still waiting. It appears that part of the problem is caused by their poor communication. Their website’s information regarding product launch dates and bandwidth limitations is vague and noncommittal; thus, the whole idea seems more like a Kickstarter project. However, if you consider young CEO Dan Tocchini and his team, you can see that they are all young start-up types who have unexpectedly amazing potential; at the same time, some might conclude that they have made promises they have been unable to keep. The time has come; will AI take over human work? Because AI requires the same information that humans need to sustain themselves and evolve (speech, vision, and emotion etc. ), one might ask: are all of these components built into, and under the control of, this AI website tool? That seems too good to be true. What we want is for you to treat The Grid as a designer. You send your content to the designer, they come up with some ideas, then send it back. Anthony Wing Kosner introduced The Grid in a Forbes article about the Grid in Oct 2014, saying that the AI web builder is “half-true,” “but for the non-technical user, it’s all magic” (Forbes). If The Grid is really an example of AI, in that it’s a self-learning brain machine that keeps improving itself as well as the user’s website, it may not be too long before machines (AI) take over human tasks, and humans (designer or users) will be controlled by the machines. However, at this point, how can we judge? The evolutionary product is not yet available to the public, still in progress, and may forever be in progress. Forbes, Kosner Anthony Wing. 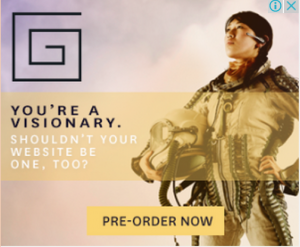 “The Grid Website Platform Automatically Adapts Design To Make Your Content Shine.” Accessed September 9, 2015. Techcrunch.com, Frederic Lardinois “The Grid Raises $4.6M For Its Intelligent Website Builder”Accessed September 8, 2015.